Some of you may remember that I picked up a Speed Champions Z06 a while ago. I’ve been meaning to build it before college started again, and since it starts properly next week (I don’t have to attend orientation this week), the past weekend seemed to be as good a time as any. It turned out to be more of a breeze than I thought. I don’t have access to internal LEGO documents, but it seems that they wanted to make a reasonably simple (and easy to build) model that bore some resemblance to the real article and held one minifigure. In my opinion, they’ve done a pretty good job. They seem to have been trying to reduce the amount of bespoke parts used as well. I’m no authority on it, but a lot of the parts used seem familiar to me, and not from a Technic set. Instead of using or creating complex parts for lights and badging, the kit uses dry transfers for small details. In other words, stickers. Seems simple enough, although I’ll admit to being pretty nervous when applying them. Hopefully they’re straight enough. 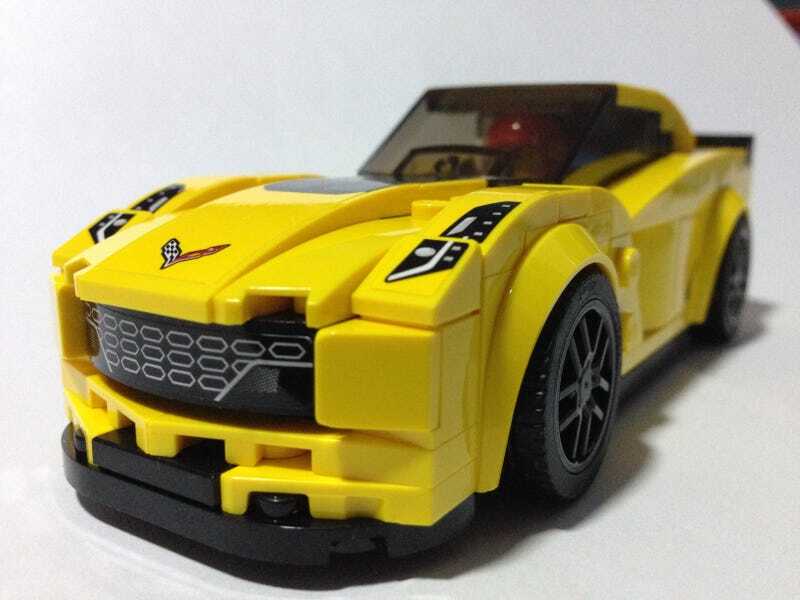 Did I mention that it comes with a Corvette Racing minifigure? It’s no mini Tommy Milner, but it’s plenty good. Should go well with Hot Wheels’ minifigure-compatible cars too. Removing the top for a better look at the interior. The C7 Z06 comes with a targa top, right? Ready for some top-down track action!